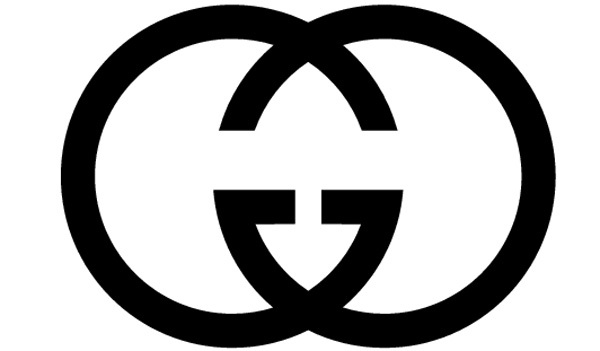 Gucci – Kitmeout Designer Clothes – Fashion Blog & Fashion Forum. The Fiat 500 by Gucci editions will arrive at Fiat dealerships in December, along with assorted Gucci-branded travel accessories to ensure a truly chic driving experience. Pricing has yet to be announced. FIAT BY Gucci al Fasion August 16, 2011 , Auburn Hills, Mich. – Set to debut during New York Fashion Week (Sept. 8 — 15) on Fashion’s Night Out (Sept. 8), the new Fiat 500 by Gucci limited-edition models represent the perfect combination of craftsmanship and style, and bring together two of Italy’s most respected brands. In the year that sees the 150th anniversary of the unification of Italy and Gucci’s 90th anniversary, these special editions of the Fiat 500 and 500 Cabrio have been customized by Gucci Creative Director Frida Giannini in partnership with Fiat’s Centro Stile. Gucci Creative Director Frida Giannini and Vanity Fair Editor Graydon Carter co-hosted the Vanity Fair/Gucci party last night in Cannes in honor of Martin Scorsese. The Chairman of the Film Foundation, which, together with Gucci and other partners restored the film “Il Gattopardo”, Martin Scorsese is best known for directing iconic films “Taxi Driver” and “The Color of Money” among many others which had become part of American pop culture and the whole world. Born November 17, 1942, Martin Scorsese is also a screenwriter, producer, actor, and film historian. He is the founder of the World Cinema Foundation and a recipient of the AFI Life Achievement Award for his contributions to the cinema, and has won awards from the Oscars, Golden Globe, BAFTA, and Directors Guild of America. Scorsese is president of The Film Foundation, a non-profit organization dedicated to film preservation. An intimate dinner at the Hotel du Cap honoring Mr. Scorsese was followed by a party to celebrate the famed director and the 20 year anniversary of The Film Foundation. Gucci creative director Frida Giannini made a visit to a children’s eye hospital during her first visit to Mainland China on Thursday. Giannini is in China along with chief executive Patrizio Di Marco to celebrate the opening of the brand’s new flagship store in the heart of Shanghai. The company now has 28 stores in Mainland China, a number Di Marco said he’s certain will grow in the coming years. Gucci has considerable optimism about the Chinese market, seen as a bright spot amid the world economic downturn. Giannini said she found Beijing surprising and energizing, and is certain this won’t be her last visit. The dinner was hosted by Vogue China at Daniel Boulud’s Maison Boulud restaurant, set in the newly renovated Legation Quarter. Among the guests were actress Zhang Ziyi, and members of the pop band Super VC. Several in attendance noted the somber mood in Beijing on Thursday, the 20th anniversary of the bloody crackdown of the Tiananmen Square democracy movement. A reminder perhaps of the hidden reality that still prevades mainland China. Rihanna has partnered with Gucci to be the face of their new Tattoo Heart accessories collection, which Gucci Creative Director Frida Giannini designed as part of their annual campaign to benefit UNICEF. Gucci Clothing or Gauche(i) Clothing? Milan – Gucci took off on a rock and roll tour Monday in Milan with a men’s collection where the models looked like Flower Power guitarists or arty bassists checking into a faintly louche hotel after their latest gig. Rarely have we seen a men’s collection with so much embroidery, as Gucci’s creative director Frida Giannini sewed tropical flowers on everything from torn striped jeans to white cricket boots or jacquard tuxedos. As people have been interchanging Gucci and Gauche-i on Kitmeout for the past 2 years, it’s perhaps not the case that Gucci have gone gaudy but simply Gucci (or Gauche-i) remain gaudy! Gucci + Mad Madge, save the world! Apparently Gucci is working with Madonna to raise funds for orphans in Malawi, where the pop singer has been trying to adopt a child since last year. 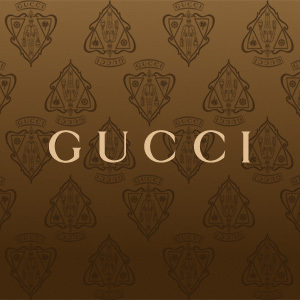 Gucci will host a fund-raising event with dinner, a musical performance and a party on 6th February 2008 to mark the opening of Gucci’s largest store in the world, on New York’s Fifth Avenue, co-hosted by Madonna. “I am grateful that Gucci is joining forces with me to bring attention to a country with millions of children in desperate need of our help,” Madonna said in a statement. Gucci, which is owned by French retailer PPR, has been a UNICEF corporate partner since 2004. Sometimes it’s just too easy to be cynical, and this is one of those occasions! For years now both joe-public and fashionistas having been asking the question: “When will punk come back into fashion?”. Perhaps the answer is iminent as something called “POSH PUNK” is hitting the catwalks. Gucci are reputedly leading the way and their designer Frida Giannini’s big obsession this season is the sort of clothes fans of The Clash wore when they went to watch Joe Strummer sing “The Whiteman in the Hammersmith Palais.” So keep your eyes peeled for a whole new generation of Pistols, Buzzcocks, Stranglers, Banshees and The Clash but this time round they could be wearing top designer names! 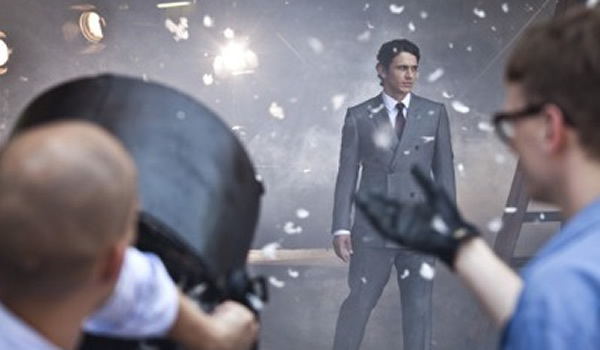 Gucci and Armani Fashion Labels Top Consumer list! Apparently a recent survey by ACNielsen of on-line fashion consumers from around the world established that fashion brands Armani and Gucci are the most desired designer labels. 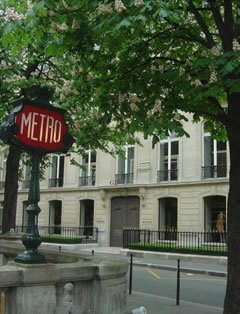 The survey also reputedly established that one in three consumers would buy Armani or Gucci products if money was not an issue. Versace came in third in the survey. Clearly Italy remains synonymous with fashion. The survey consisted of 21,000 consumers in 42 countries from Europe, Asia-Pacific, the United Arab Emirates and North and Latin America. Is this a surprise? Perhaps not, as Gucci, Armani and Versace are all well established in the “consciousness” of fashion consumers. In fact, if you were to ask a group of fashion consumers to quickly name three top designer brands then Gucci, Armani and Versace would mostly like be amongst the designer brands named — perhaps along with Dolce & Gabbana, Prada and Moschino, all Italian brands. If Gucci, Armani and Versace are the most desired designer labels, but does not necessary mean they are also the most desired designer clothing? A great many fashion consumers when put on the spot will roll off a list of common designer labels but if they were to be presented with a group of garments side by side from a selection of different designers I wonder how many would then choose Gucci, Armani and Versace? If nothing else, this survey probably reveals some disturbing facts about consumer manipulation.